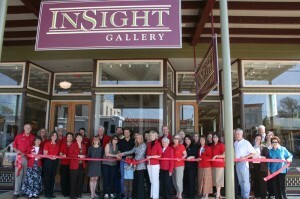 Insight Gallery recently moved to their new location 214 West Main Street here in Fredericksburg. Today was the Ribbon Cutting for the Chamber of Commerce. Although our office is right across the street, it was my first time to see their new look. WOW! It is an absolutely beautiful gallery in a two story historic building with 12 foot ceilings and limestone walls making perfect back drop for the timeless art that embellishes the walls. 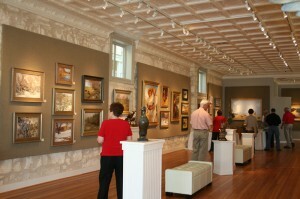 Insight Gallery offers an array of talented and well known artists in the two level showroom. A few names include – Nancy Bush, Joan Potter, Lindsay Scott, Mark Haworth, Daniel Gerhartz, Richard Loffler and many, many more. Insight Gallery is owned by Meredith and David Plesko. They believe that art in its purest form is truth. The honesty in the fine art you will find at InSight Gallery is tangible.